Cyber security challenges and operating with too few air tankers and in increasingly contested environments are some of the priorities that U.S. Transportation Command is focusing on today, the Transcom commander told a House panel this morning. 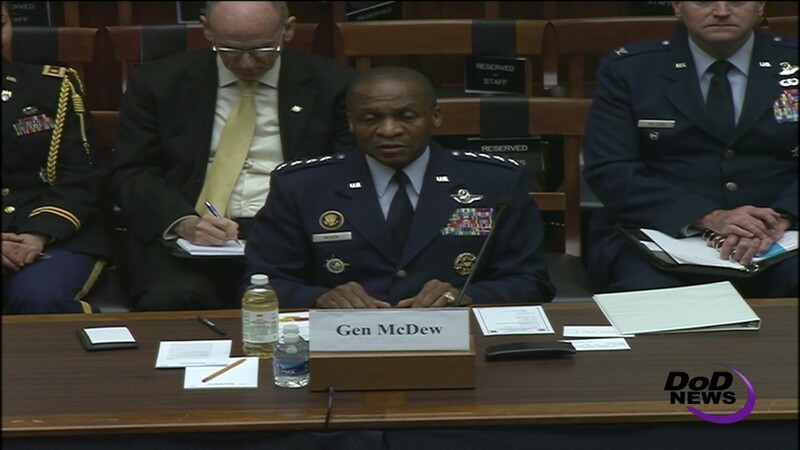 Air Force Gen. Darren W. McDew testified before the House Armed Services Readiness Subcommittee and members of the HASC Seapower and Projection Forces Subcommittees on the state of Transcom. Both approaches are under stress in a time of budget challenges and in an increasingly complex operating environment, the general said, noting that he expects future adversaries to be more versatile and dynamic, forcing Transcom to adapt, change and evolve. Potential adversaries also must be viewed through transregional, multidomain and multifunctional lenses, he added. 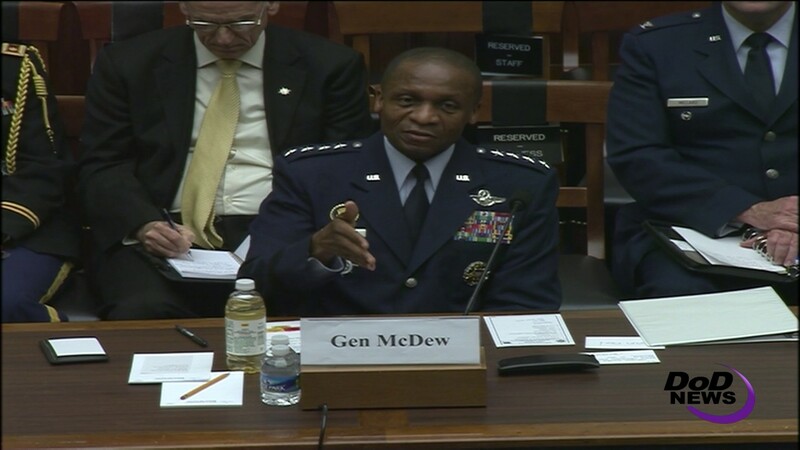 Properly understanding potential threats from China, Russia, Iran and North Korea and worldwide violent extremists in a global context is of utmost concern for Transcom and for national security, McDew said. The general said Transcom is exercising in wargaming scenarios, forcing planners to account for transportation's vital role and, for the first time, potential loss of ships, planes and other assets. Earlier this year, Transcom held its first ever contested environment wargame imagining a scenario where the U.S. military didn't dominate the skies or own every line of communication, he said. “The wargame uncovered a surprising [number] of lessons learned, which we've already started absorbing into our tactics, techniques and procedures,” the general added. The need for cyber security runs throughout Transcom operations, McDew told the panel. “We aren't the only government agency to face these threats but U.S. Transcom has a unique problem set. Unlike other combatant commands, commercial industry plays a vital role in how we accomplish our mission,” he explained. The DoD information network is relatively secure, the general said, but how does Transcom guarantee the security of military data on commercial systems? Transcom operates in an ambiguous seam between DoD and the Department of Homeland Security, he said, which is responsible for commercial cyber security breaches. “Our mission includes dot-mil and dot-com domains,” he added, “[and] we are accelerating several initiatives and also our thinking to try to help close that gap between DoD and DHS. About a year ago Transcom started down a path of discovery on cyber, he said. The general said that one of his top recommendations for the 2017 National Defense Authorization Act would be to accelerate the tanker program as much as possible, reducing the risk created by too few tankers. The plan to retire the KC-10 may have to be revisited, McDew said.